Today at the Upfront Summit I'll be interviewing actor Joseph Gordon-Levitt. Not because he recently played Edward Snowden in a film — or Robin, for that matter — but because he's CEO of a startup called HitRecord that today will announce $6.4 million in Series A funding. Driving the news: The company has actually been around since 2010, but this is its first round of outside funding. Details: It's basically an online artist collaboration platform, whereby users contribute/edit/etc. on projects that range from songs to video games to short films. If the project ends up being sold (or was originally contracted, like was recently done with a Ubisoft game), then the creators get pro-rated payments based on their contributions (which can range from a dollar to over $1,000). 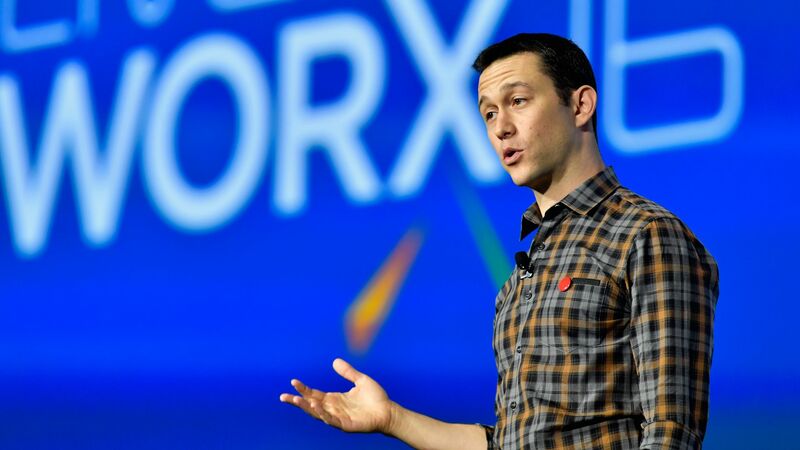 Gordon-Levitt, who serves as CEO of the 24-person team, says the funding should help HitRecord expand into "a platform." In pragmatic terms, that means it won't be coming up with all the project ideas, instead allowing proposals to be fed directly into the system by others. Javelin Venture Partners led the round and was joined by Crosslink Capital and Advancit Capital. Gordon-Levitt explains that he intentionally sought money from Silicon Valley tech investors instead of from Hollywood entertainment investors, because he knows the part of the business he doesn't know.